In today’s world, a day doesn’t start without that first fresh cup of coffee. For some of us, a cup of hot coffee is a necessity to get up and start the day’s work. And to meet with this growing demand of coffee, technology has provided us with solutions to make our coffee brewing experience simple. Gone are the days when brewing a cup of coffee was a tiresome job. With the latest drip coffee making machines, the most delicious coffee can be prepared within minutes. How very convenient! Making filtered coffee, also known as drip brewing, requires us to pour hot water over roasted ground coffee. That is all! The water then absorbs all the flavor and essence of the coffee and seeps down. Finally it gets collected in a carafe and pot and it is good to go. 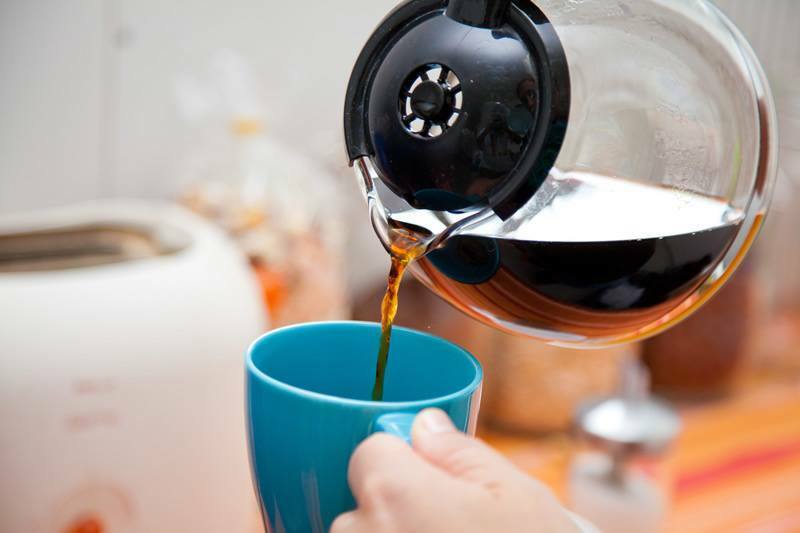 Therefore drip coffee makers not only make the process of brewing coffee simpler, but also brew the tastiest coffee. And hence it is such a popular buy these days. The links of the most popular drip coffee makers are provided below. 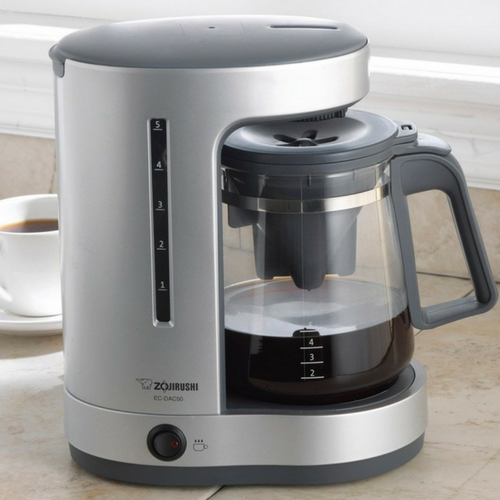 The Zouirushi 5 Cup Drip Coffee Maker is a versatile one. Its design is pretty classy and it can be utilized in multiple occasions at any point of time. Its 5 cup size is quite convenient. Its dimensions are (6 x 9 x 11) inches and it weighs 9 pounds. Priced at $69.99, it is made of plastic and is available in a stylish silver color. It brews 5 cups of coffee at a time. Measuring spoon and user manual is included. It possesses an automatic keep-warm facility. It contains a concealed and removable water reservoir. The filter cone sits inside the decanter. It is compact and easy to use. There is no auto shut-off. It is one of the best choices for a drip coffee maker. Despite its minor flaws, it is a highly recommended option for someone with a relatively high budget. It is very modern and stylish to look at. Also, its functionality is pretty great as well. 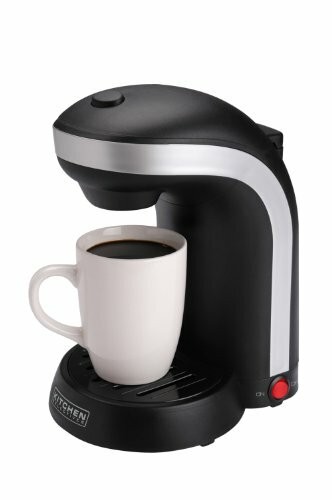 The Kitchen Selectives One Cup Coffeemaker is the most chic looking drip coffee maker available in the market. It is small, cheap and extremely efficient. Also, it is very light, weighing only 2.6 pounds. Dimensionally, it measures (9.5 x 10.6 x 7) inches. It costs $14.99. It is made up of plastic and is available in black. It is of the single serve type. A 12 oz. mug is included. The drip tray is removable. It contains an illuminated power light. The strength of the coffee can be adjusted by altering the amount of coffee powder used. It does not have auto shut-off. This drip coffee machine is very handy. It is light and small. Also, it is very useful. It works very well. 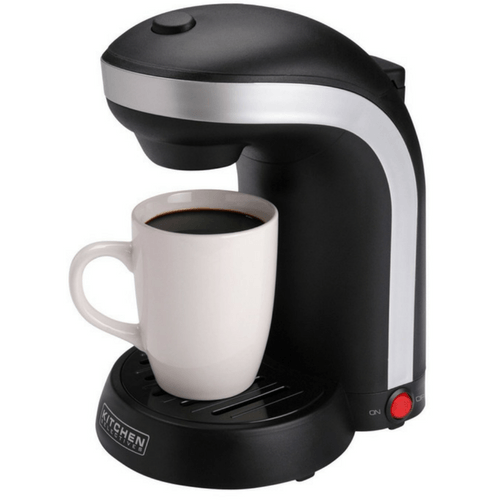 It is quite cheap too and is hence is a reasonable choice for a drip coffee maker. It portrays value for money at its best. This is a fantastic looking efficient drip coffee machine. With advanced features and stylish appearance, it is easily one of the most preferred drip coffee machines in the market today. And for good reason! Its different appearance can be credited to the black base and stainless steel accents. It has a 5 cup capacity and weighs only about 3.6 pounds. It costs . It has a glass carafe with brew-through lid. It has a gold tone permanent filter. It has an internal water level indicator. It has a clock with digital LCD screen. It also has a 24-hour programmable timer. Its ergonomic handle makes it comfortable to pour. Its non-stick warm plate keeps the coffee hot for long. It has auto shut-off facility. It is very easy to clean up. The Jura Capresso Black and Stainless Steel 5 Cup Mini Drip Coffee Maker is an excellent choice for a drip coffee maker. It is sure to guarantee satisfaction. Yes, it is kind of costly. But the features it is equipped with makes it worth the price. Hence, it is a brilliant choice worth serious consideration while looking for drip coffee makers. This is a pretty inexpensive and easy to use drip coffee machine. It is made of plastic and is available in black on Amazon for Out of stock . Dimensionally it is about (20 x 11.2 x 13.3) inches and weighs only 2.7 pounds. It has a 5 cup capacity. It is a programmable coffee machine. Its pull-out brew basket makes it easy to use. The water window has full view. It takes a long time to brew coffee. 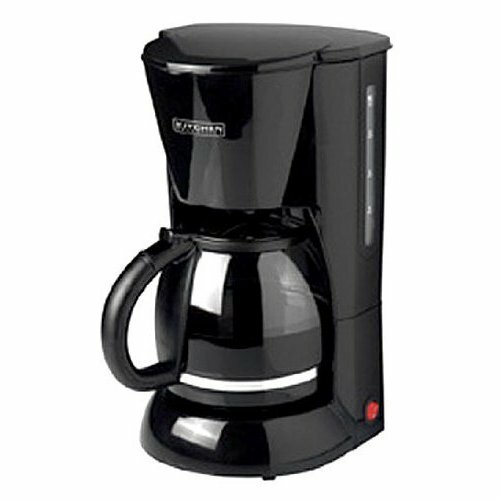 The Select Brands Kitchen Selectives CM544 5-Cup Drip Coffeemaker is a cheap and suitable choice for a drip coffee maker. It looks pretty good too. So, it can be considered a moderately good investment. 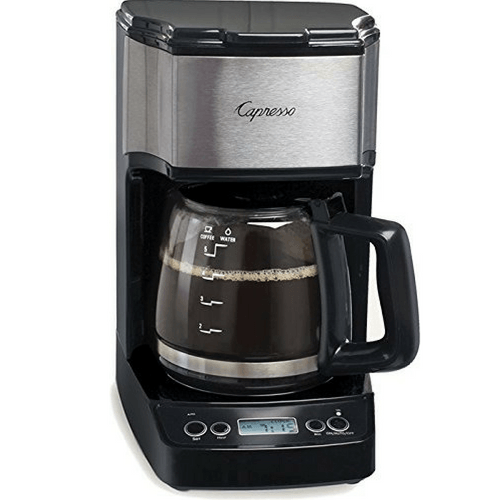 A drip coffee maker is a very popular buy among regular coffee drinkers nowadays. The market supplies this growing demand for drip coffee machines quite efficiently. All kinds are readily available for consumers to choose from. Varieties of designs, technology, prices and whatnot. 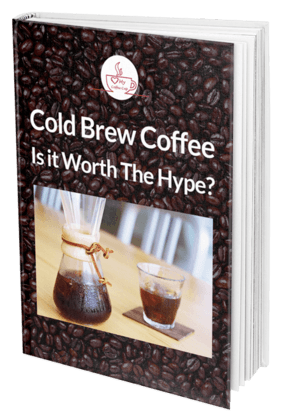 Among all the drip coffee makers discussed above, almost all are equally recommended. In terms of appearance and functionality, all are exceedingly good. Thus, any one would be the correct choice. 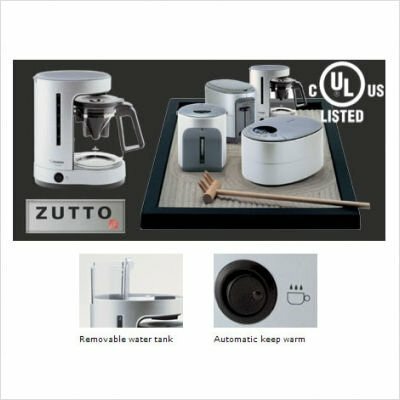 However, it needs to be mentioned here that the Zouirushi EC-DAC50 5 cup Drip Coffee Maker might just be the best choice here. Its technology is far more advanced than any other. It is therefore perhaps the most recommended drip coffee machine available in the market at the moment.